U WE GLOW FUN RUN 2016 is back for “season 2” and I am so thrilled as I want to be experiencing this bright and colourful run with my daughter!!!! U WE GLOW FUN RUN 2016 was Malaysia’s first UV paint glow run back in 2015 and with the support from MONSPACE as the title sponsor, this year’s MONSPACE U WE GLOW FUN RUN 2016 will definitely be more splashier, brighter and more glow!! 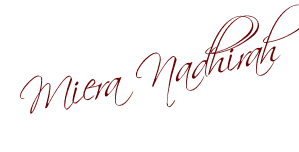 be donated to charity organization to ease up their daily expenses needs. 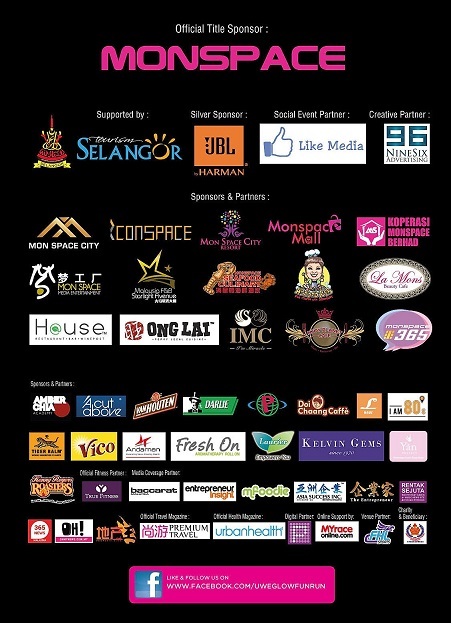 MONSPACE is thrilled to be sponsoring the U WE Glow Fun Run because it helps to unite people as 1Malaysia in a fun way as contributing for a good cause and also to promote our Malaysia local talents and celebrities. There will be a UV zone along the route where participant will be splashed with UV paints and run through a UV lighted area. Participants gets to enjoy music and most important is to take lots of photos. As safety is the main priority, the UV paints are imported from US and it is non-toxic. Participant will get to run along with local celebrities like Amber Chia (International Super Model & Actress), Ben Ibrahim (TV Host), Dewi Liana Seriestha (Singer & Model), Crystal Lee (International Actress & Singer), Melody Tan (Singer), Carrie Lee (Miss Chinese Cosmos Winner and Organizer), Winnie K (Singer & Actress), JC Cheah (Radio & Host), Adelina Chan (Miss Malaysia Eco Tourism 2013), Brian Lee (Social Media Celebrity) Amelia Lee (Child Star), Annelise Chan (Child Star), Parisz (Actress & Model), Joey Ong ( Miss Malaysia Tourism Metropolitan 2014), Vinly Yim (Malaysia Charming Mum 2012), Michelle Koong (Malaysia Charming Mum 2014), Samantha Goh (Mrs Malaysia International 2016) Usha (Miss Malaysia Indian Cultural) Pinky Loo & Mark Yong – Guinness World Record and title holders for Malaysia Book of Records) and others coming together. This run is made possible with the support from Tourism Selangor and title sponsor MONSPACE and its’ group of business expansion. This is also supported by JBL, Amber Chia Academy, A Cut Above, Van Houten, Darlie, Taiping Poly, Doi Chaang Caffe, Lucky House, I Am 80’s, Tiger Balm, Vico, Fresh On, Laurier, True Fitness, Andaman Group, Kelvin Gems and Yan Society BirdNest. Media Partner & Support : TV3, Aifm Radio, Nanyang Daily, Pocca Dot Media, Baccarat Malaysia Magazine, Asia Success Branding Magazine., The Entrepreneur Magazine, Galaksi Media, Harian Metro, UrbanHealth Magazine, One Publishing, Premium Travel Magazine, Oh My News, 365 New, Rentak Sejuta, Like Media, 96 Advertising, FHL Sports, Entrepreneur Insight Magazine, Property Insight Magazine, Malaysian Foodies, Property King Magazine, and more. 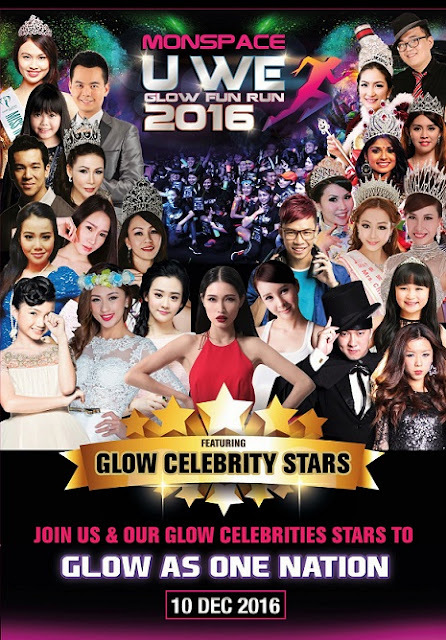 U WE GLOW FUN RUN 2016 IS HAPPENING SOON..